There will be no stopping your little water warriors from getting soaked this summer! 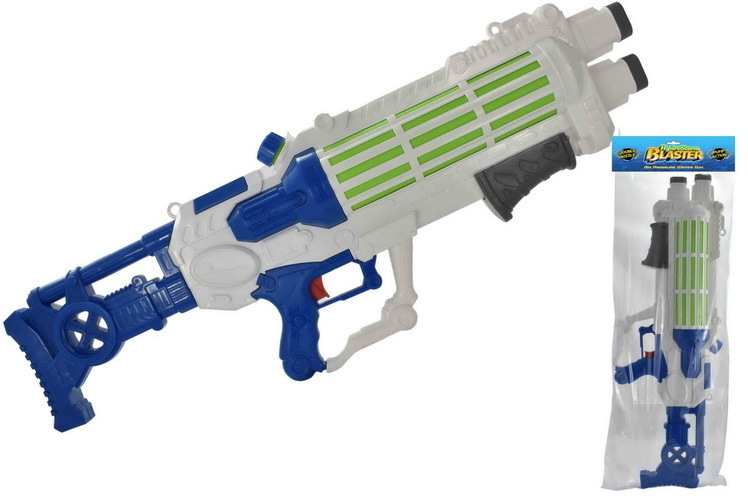 This Super Size Air Pressue Water Gun is the perfect combat blaster for your next backyard water fight or pool time summer fun! Focus on the target, aim, shoot and fire! With it’s unique and innovative design - you’ll be no match for your competition! Pump Action Water Gun is 74cm long. Have a water fight this summer with this awesome Water Gun! Fuel your toy gun with water and splash your opponent with it’s air pressure water soaking qualities!